Emeli Sandé’s aptly-named solo debut single Heaven was arguably the finest British pop song released in 2011. The Scottish singer-songwriter’s seraphic vocal swoops and producer Shahid ‘Naughty Boy’ Khan’s reassuring old-school breakbeats were warmly received by listeners, while a striking similarity to Massive Attack’s Unfinished Sympathy can rarely hurt a song’s success. 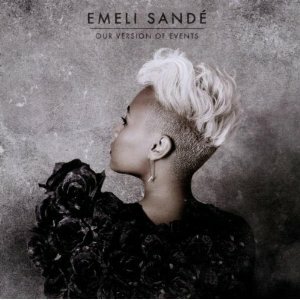 Considering Heaven, which opens Our Version of Events, and the fact Sandé has written for everyone from Alicia Keys and Leona Lewis to Tinie Tempah, Sugababes and even Susan Boyle, it’s perhaps reasonable to expect the most consistently great pop album since Girls Aloud’s Out of Control. Although this doesn’t arrive, we do have a charming and occasionally moving record full of care and polish, effort and grace. This entry was posted in Music, Music Of The Week and tagged Music. Bookmark the permalink.